The MO-Line, which now consists of the industry benchmark MO-3300 and the sleeve-based MO-4. Both based on Nilpeter’s patented web handling technology and high-quality offset printing units specially designed for our industry. The unique and patented open platform architecture secures your investment for the long term. It enables rapid press changeovers and supports any combination of printing processes. Designed specifically for products of uniform quality, the MO-Line is the natural choice for printing companies that supply global players demanding only the best. Featuring the latest technology, MO-presses are suitable for long, medium, and short runs, handling the complete wide range of substrates. 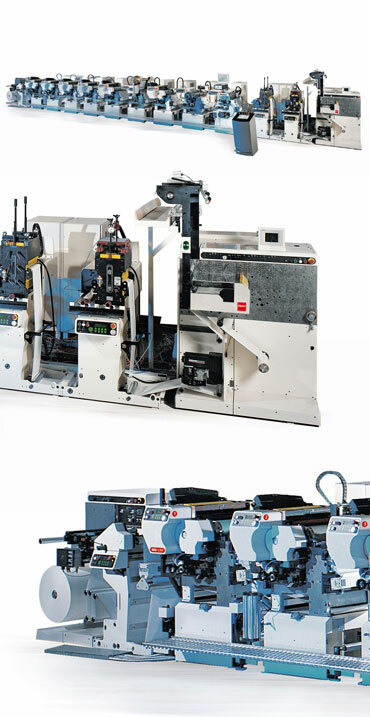 The MO-Line’s superb flexibility, printing quality, and productivity give label printers the power to differentiate and expand in today’s competitive market. The MO-Line is designed to print on substrates of many different weights and characters, including top-quality film based labels, giving you the freedom to use any combination of offset, flexo, screen, gravure, hot foil, and cold foil.